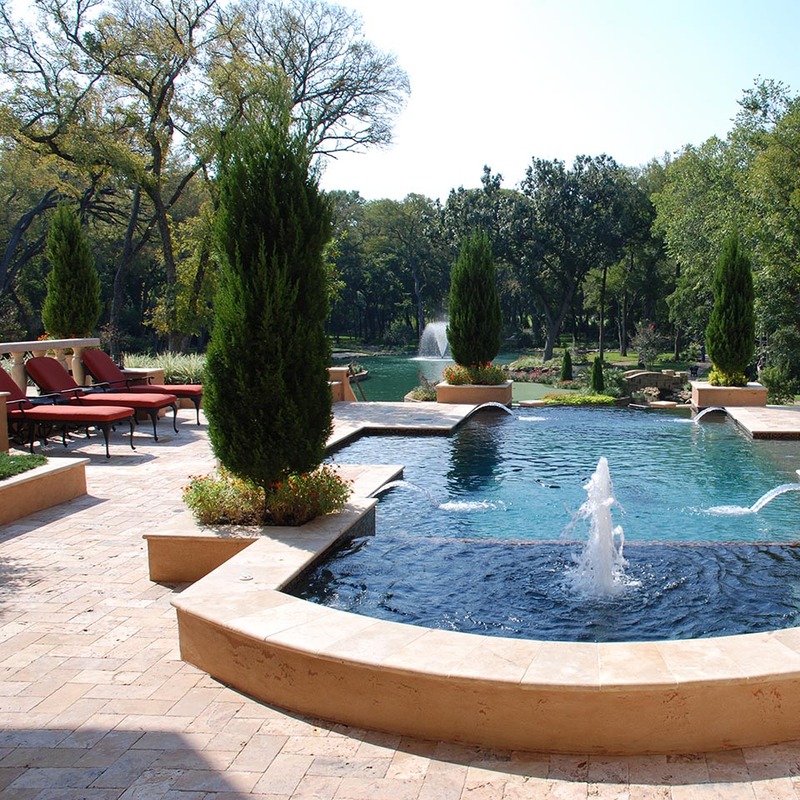 Our design for this new home build project with a Tuscan flair included a negative edge pool area as well as a shared private park garden. 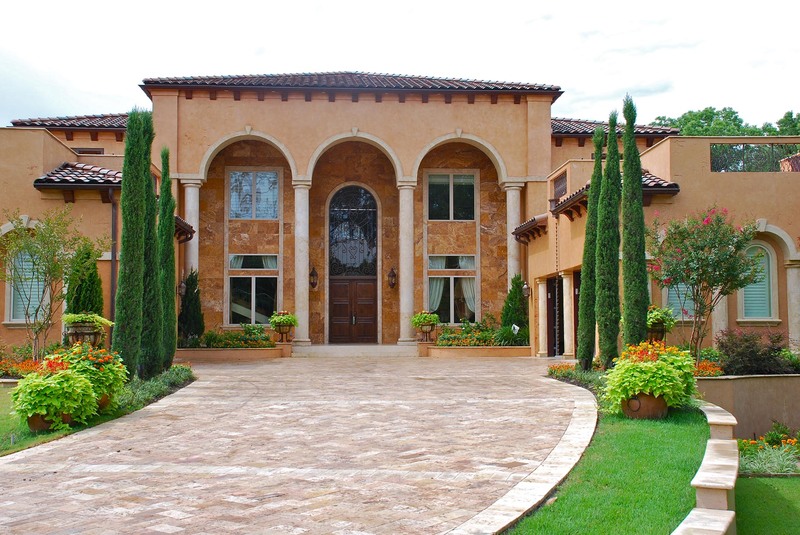 The front entry of the home included a formal alley of Italian Cypress trees and a travertine paver auto court. 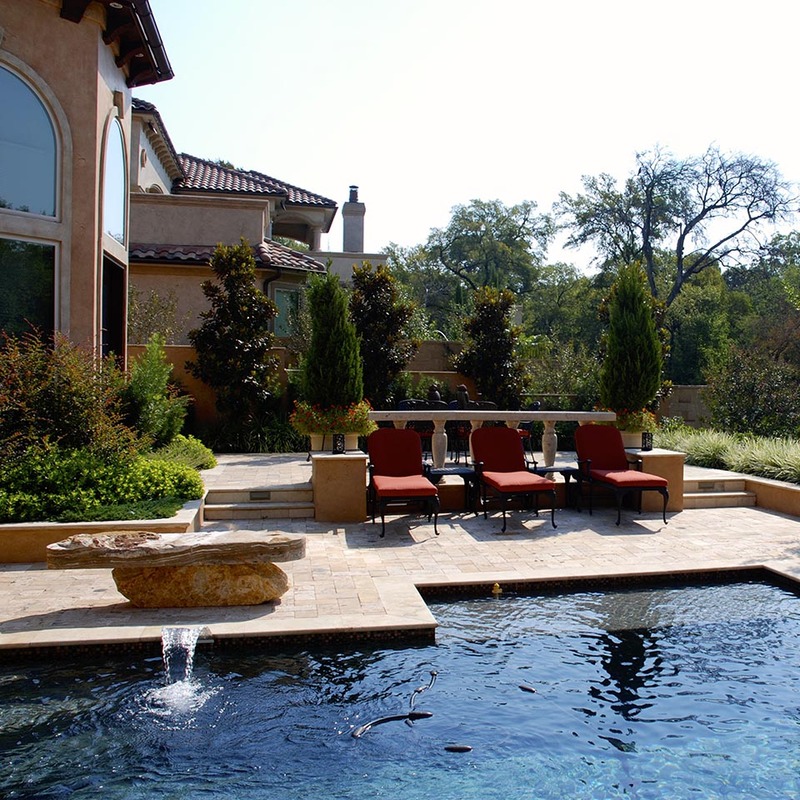 Outdoor entertainment areas for dining, sun bathing and conversation frame the pool area. 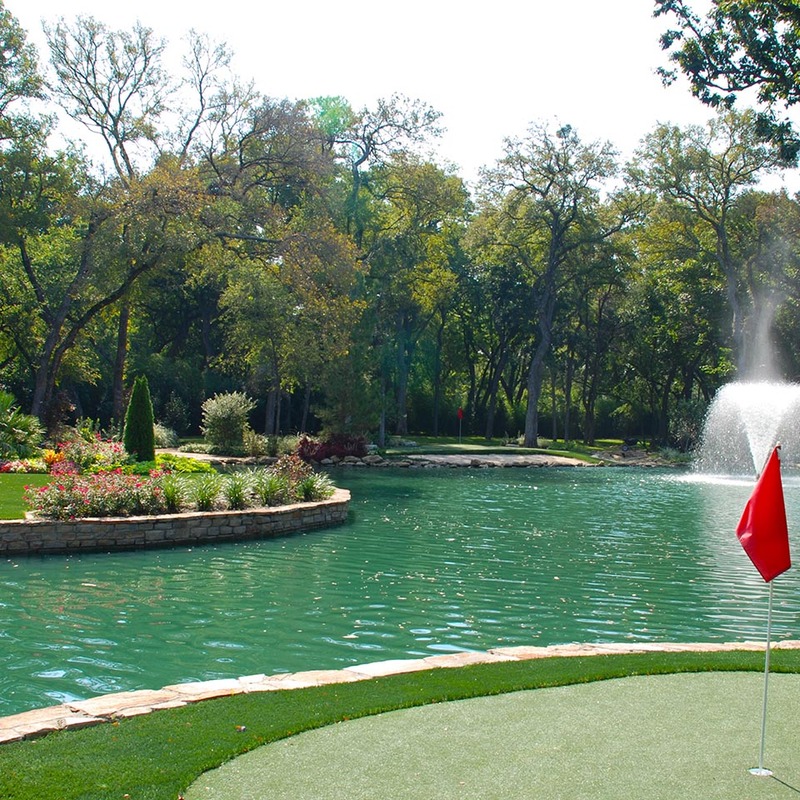 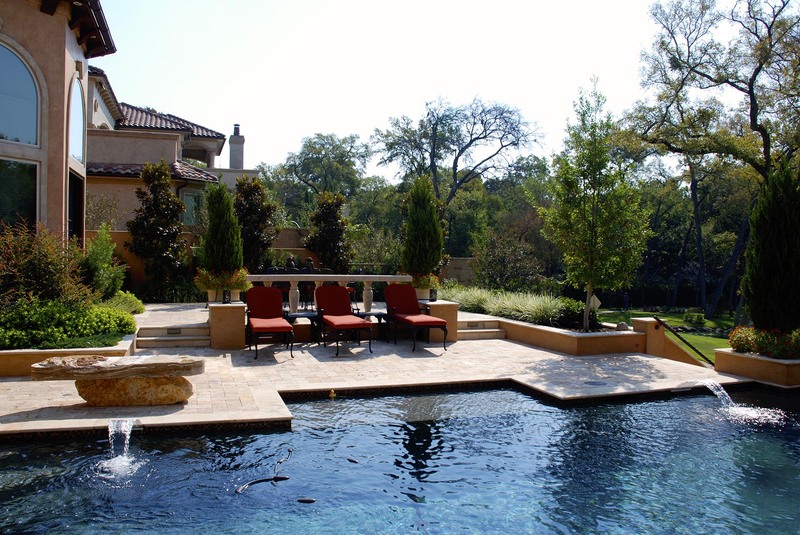 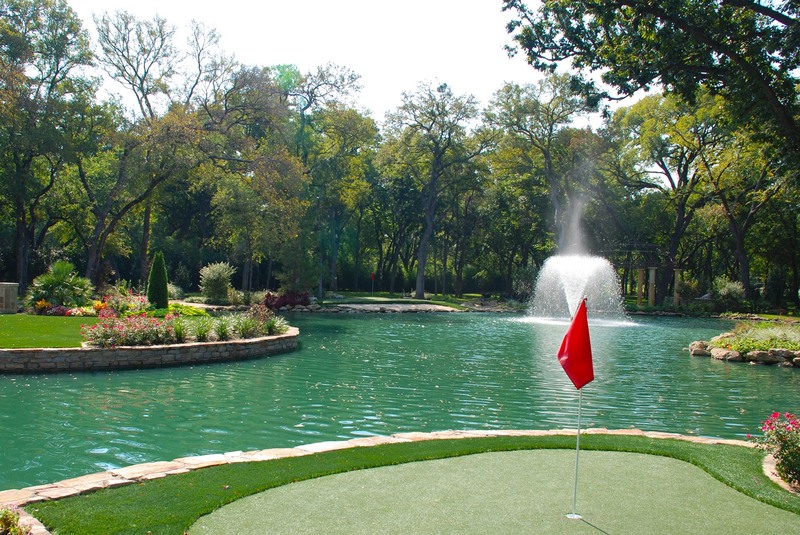 This classic pool design featured a raised beam perimeter for seating near waters edge. 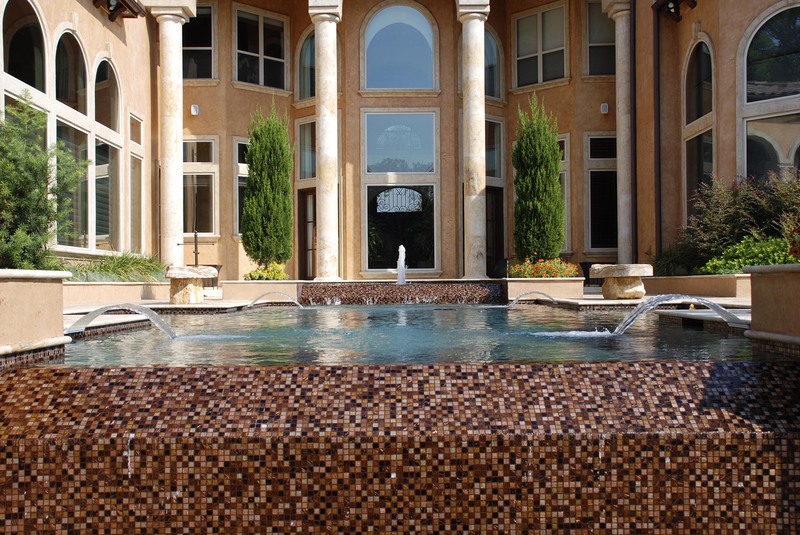 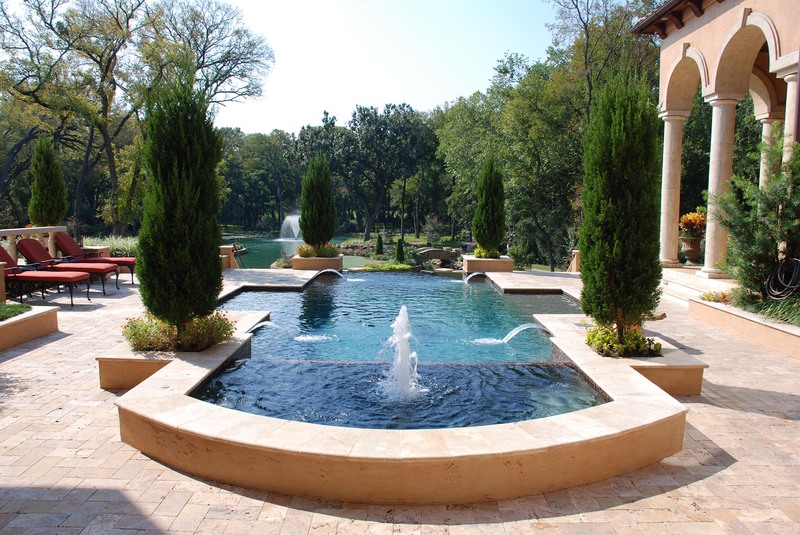 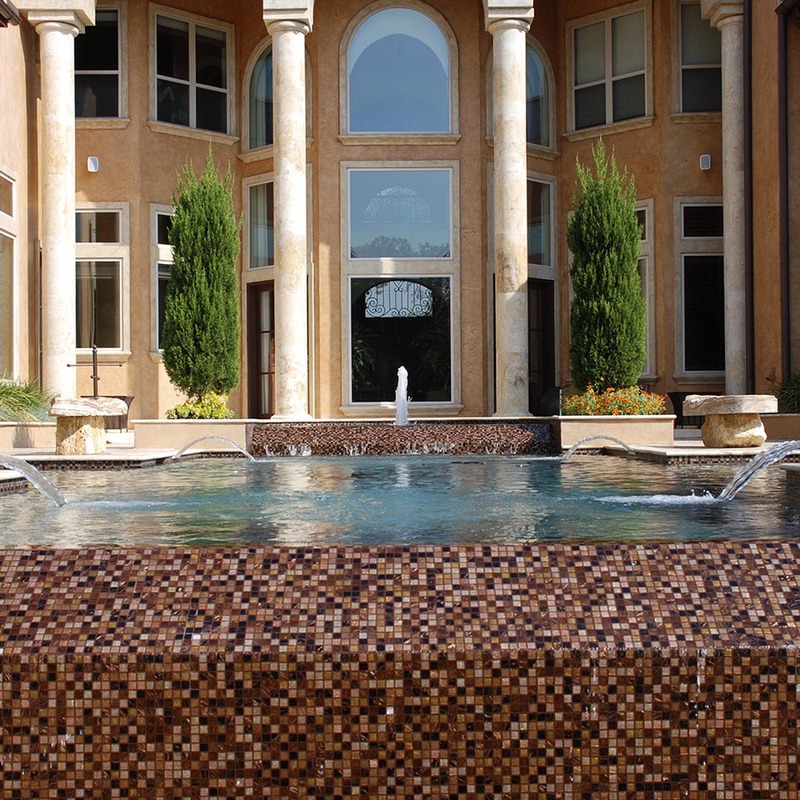 Arched water feature jets and a stone meditation bench enhance the visual of the pool area. 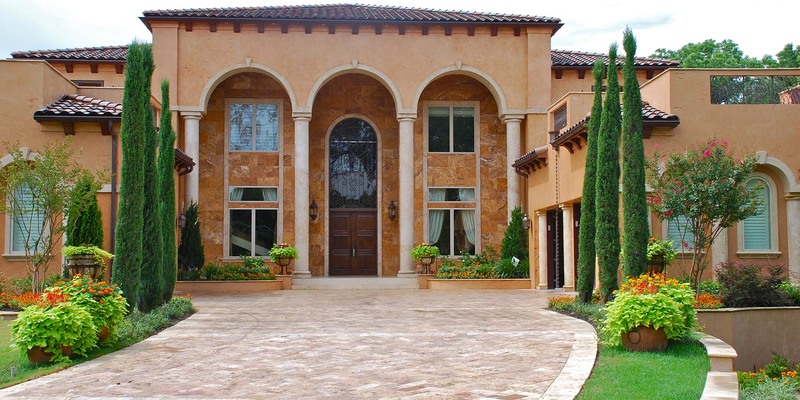 The luxurious verandas provide sun protection and a cool place for guests to gather.